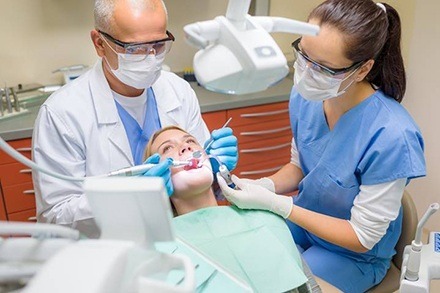 Dental Assistant Pro offers a class-based instructional program that combines real life experience in a dental office with lectures as well as time in operatory treatment rooms, a laboratory and sterilization room. The program is conducted in just 10 Saturdays, so students can continue to hold full-time jobs while they get ready for a new and rewarding career in dentistry! In addition, to observation and practice of a variety of dental treatments, there are also home assignments to support what is studied in class. Dental Assistant Pro is certified through the Ohio State Board of Career Colleges and Schools. Students will receive a Certificate of Completion at the conclusion of their coursework. Your studies begin with an introduction to dentistry and dental anatomy. Students learn about the various positions within the dental profession—dentists, registered dental hygienists, dental assistants and dental lab technicians. There is also a review of the major areas in a typical dental office and the equipment. Dental anatomy covers the names, structure and functions of the various teeth. Included in the class on sterilization and disinfection are OSHA standards and infectious materials. In the radiology unit, students learn how to safely mount and take digital X-rays. Radiation safety levels, errors, techniques and control factors are covered, as well. The unit prepares students for the Dental Assisting National Board (DANB) Radiation Health and Safety (RHS) exam. Another section of classes covers expanded function and fourhanded dentistry. Students learn how to properly greet, seat, prep and dismiss patients as well as treatment room setup. The dental assisting program includes fabrication of temporary crowns, the nature of composite fillings, and how to assist during root canals, oral surgery, periodontal therapy, and the placement of dentures and cements. The various types of dental instruments are explained, too. Passing an examination that evaluates their knowledge can certify dental assistants. Most dental assistants who choose to become nationally certified take the Dental Assisting National Board's (DANB) Certified Dental Assistant (CDA) examination. 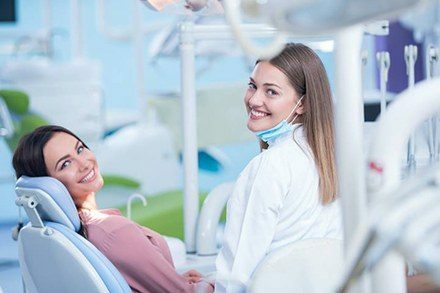 Becoming a Certified Dental Assistant (CDA) assures the public that the dental assistant is prepared to assist competently in providing of dental care.